Schlock-Wire: Shout! 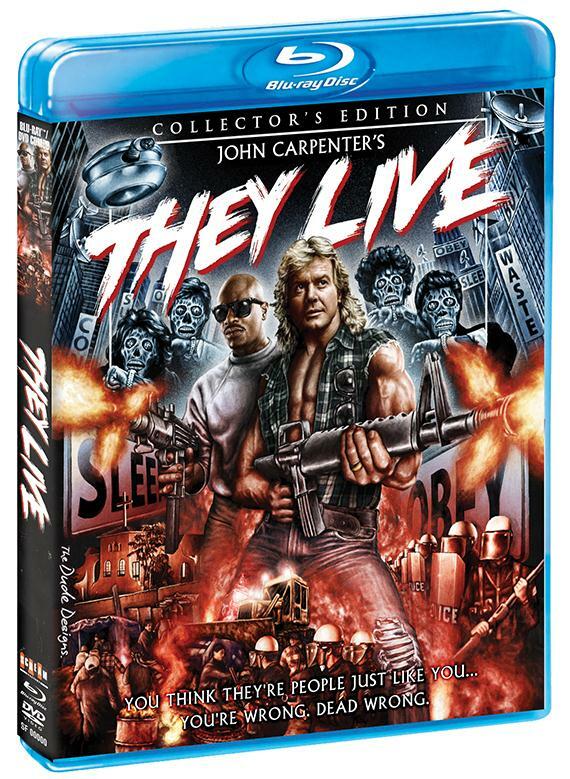 Factory Releasing New THEY LIVE Special Edition In Time For Election Day – Schlockmania! * Production now underway for extensive and insightful bonus features that include all-new interviews, an audio commentary and archival material. Shout! Factory will announce in-depth bonus features and additional news in next couple months. Further underscoring its position as a leading curator and home entertainment provider of many memorable cult movie classics, Shout! Factory launched SCREAM FACTORY™, a new home entertainment series created to celebrate some of the most enthralling horror and sci-fi films with massive cult followings in cinematic history. Shout! Factory will continue to present the on-going SCREAM FACTORY™ home entertainment series in 2012 and 2013 with specific release dates, extras and key art for the rest of the title lineup. Meanwhile, fans will are encouraged to follow us and click the “Like” tab on the official SCREAM FACTORY Facebook page (https://www.facebook.com/pages/Scream-Factory/103961936407493) for up-to-the-minute updates or visit ScreamFactoryDVD.com .